To watch Joy's talk at VOICES 2018 click here. Sign up for BoF’s Daily Digest newsletter here: http://bit.ly/BoFnews. Ready to become a BoF Professional? For a limited time, enjoy 25% discount on an annual membership, exclusively for podcast listeners. Simply, click here: http://bit.ly/2KoRRBH, select the Annual Package and use code PODCAST2019 at the checkout. For comments, questions, or speaker ideas, please e-mail: podcast@businessoffashion.com. For all sponsorship enquiries, it’s: advertising@businessoffashion.com. To watch Josh's talk at VOICES 2018 click here. BoF’s Imran Amed sits down with LVMH Greater China group president Andrew Wu at the BoF China Summit to demystify the multi-faceted Chinese consumer. To watch Andrew's conversation with Imran at our annual China Summit click here. To watch DeRay's talk at VOICES 2018 click here. Imran Amed sits down with co-founder and chief brand officer Lauren Santo Domingo and chief executive Ganesh Srivats to discuss their plans to enter the Chinese market and capitalise on the 'crystal ball' of data. To watch the video of the conversation click here. Michèle Lamy defies categorisation and convention in all facets of her life, not least of all on stage at VOICES. She joined BoF’s Tim Blanks to discuss her open, nomadic approach to life, which has yielded some of the most fascinating creative collaborations in fashion in recent decades. To watch Michèle's conversation with Tim Blanks at VOICES 2018 click here. To watch Adut's conversation with Tim Blanks at VOICES 2018 click here. The fashion industry must internalise the idea that there's no single Chinese market, as McKinsey & Co. global managing partner Kevin Sneader explains. This episode of Inside Fashion is brought to you by Klarna. The news media business is in crisis, but the chief executives of the Financial Times and Guardian say their models prove people value quality journalism in a world of fake news and political polarisation. This week, Matthew Williams talks to Imran Amed about working with creative talent in music, art and fashion before launching his luxury streetwear brand Alyx. Angel investor and co-founder of Songkick Ian Hogarth explores how the race to develop the most sophisticated artificial intelligence will define geopolitics in the coming decades. The CEO of Saint Laurent sits down with Imran Amed to discuss the importance of authenticity, balancing legacy with growth — and taking 500 employees to Morocco. In conversation with BoF’s Imran Amed, in front of 150 fashion professionals from the BoF Careers community, Farfetch’s chief strategy officer and chair of the British Fashion Council Stephanie Phair shared her insight on how fashion can better support gender diversity within the workplace. As the global #MeToo movement has spotlighted sexual misconduct within creative industries, this issue has gained increasing momentum, sparking industry-wide conversation on the continuing gender imbalance in the fashion sector. 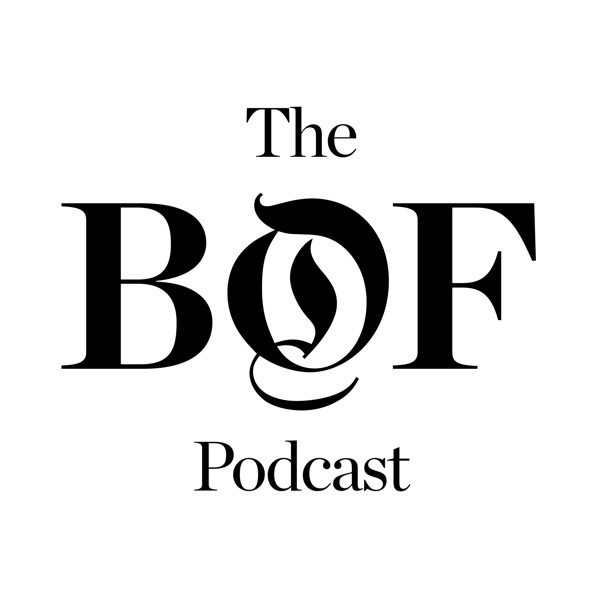 In a special episode of The BoF Podcast, Tim Blanks and Imran Amed sit down to discuss their memories and reflections on the passing of the fashion icon who died in Paris on Tuesday. The co-founder of non-profit organisation RepresentUs is fighting corruption at the state level in hopes that it will change the landscape that allowed President Trump’s election. Imran Amed sits down with Sadhguru Jaggi Vasudev, accomplished yogi and founder of the Isha foundation, whose latest social movement is pushing for the use of sustainable and natural textiles in the fashion industry. The Cambridge Analytica whistleblower discusses the way H&M can use artificial intelligence to curb waste production and reveals his new role with the fast-fashion giant. Wiley is joining H&M as its director of research. He will work closely with Arti Zeighami, the retailer’s head of AI and advanced analytics, exploring how AI can help fashion better tackle its sustainability crisis. This week on BoF’s Inside Fashion podcast, Gwyneth Paltrow talks to Imran Amed about Goop’s rise from an email newsletter to a wellness empire worth $250 million. At BoF’s VOICES, the creatives spoke about the barriers that black designers face and how a new generation is finding success outside the fashion system. Women in India are pushing back against social norms that limit their opportunities, though it can be an uphill battle. Ahead of the opening of the UK’s largest retrospective on Christian Dior, Chiuri talks about the importance of couture and her perspective as the first female creative director of the house. The designer has always made sustainability practices her business priority. Now, with a new UN charter for climate action, she is hoping other fashion companies will follow in her footsteps. As cannabis becomes legal in more places, the founders of two of the category’s fastest-growing CBD-based luxury lifestyle brands discuss everything from their origin stories to their predictions for the future of the cannabis economy. Renowned fashion journalist Suzy Menkes once called superstar designer Alber Elbaz a "master of improvisation." That instinctual, passionate disposition was on full display onstage at VOICES, as Elbaz waxed on lyrically about what he’s learned since his abrupt firing from Lanvin in 2015. The chef, author and wellness expert said wellness is coming full circle with a focus on the ancient Indian health system. The Cambridge Analytica whistleblower opened by revealing that the controversial firm weaponised fashion trends to target potential Trump supporters. From growing up “on the wrong side of the river” in Dallas, to studying at Ivy League schools and taking on the trials and tribulations of both Wall Street and entrepreneurship, Casey Gerald has lived an extraordinary life at the ripe age of thirty-two. Now, he has documented it all in his new memoir, “There Will Be No Miracles Here," which informed the emotional and inspiring talk he gave to conclude VOICES 2018, with a deeply personal glimpse into his thoughts on identity, courage and spirituality. This week on Inside Fashion, Imran Amed and Achim Berg address the overall outlook for growth in the fashion market and 20 companies dominating value-creation in fashion. Over the past few years, more and more women are opting for clothing that’s a little longer and slightly looser. It’s part of a shift towards modest dressing that goes beyond religious dictates and stretches from the Middle East to Los Angeles. “There’s a whole spectrum of modesty that goes from a woman who covers her entire body and face, so you don’t see anything, to someone who is more moderate in the way that she dresses,” explained Ghizlan Guenez, founder and chief executive of The Modist, an e-commerce business launched in 2017 and targets the underserved market of women who want to dress fashionably yet in a demure way. Today, the company has offices in Dubai and London, and ships to over 120 countries. In episode seven of BoF’s podcast series Drive, delivered by DHL, Rent the Runway co-founder Jennifer Hyman tells BoF how she executed her radical idea and attracted 10 million members to her platform. This week on the Inside Fashion podcast, the British designer and original fashion activist discusses why the UK fashion industry needs a second referendum on Brexit. This week on Inside Fashion, the editor discusses his long career in fashion and the moves he’s making in his new role as head of fashion partnerships at YouTube. In this episode, BoF's chief correspondent in New York, Lauren Sherman, speaks to Neil Blumenthal and Dave Gilboa, the co-founders of the disruptive eyewear company Warby Parker, which closed a $75 million Series E funding round in March 2018, valuing the company at $1.75 billion. Market sources report the business now generates north of $250 million in sales annually. This week on Inside Fashion, BoF’s editor-at-large discusses Hedi Slimane’s Celine debut, his favourite shows of the season and fashion week in the #MeToo movement. In episode four of Drive, delivered by DHL, Alexandre Mattiussi explains why his lauded French contemporary label, which now has 300 stockists and four flagship stores across the globe, was founded on the failures of his past as much as his successes. This week on Inside Fashion, the Ethiopian supermodel gives a tour of her 20-year modelling career and discusses the opportunities for fashion in Africa. In episode three of BoF’s new podcast series Drive, delivered by DHL, the man who spearheaded the community-commerce model in 2003 with his early streetwear sensation, The Hundreds, discusses why not focusing on money was key to his success and why the essence of branding is saying “no”. This week on Inside fashion, the American designer discusses the ups and downs of his long career in the industry and takes us inside the documentary that chronicles his downfall and remarkable comeback. In Episode 2 of BoF’s new podcast series Drive, delivered by DHL, the entrepreneur shares the highs and the lows of her forty-five-year career, and how she used factory scraps to create the first iconic wrap dress while pregnant, delivered by DHL. On this week's episode of on Inside Fashion, Lucinda Chambers discusses her 36-year career at British Vogue, the #MeToo movement and what it means to be a stylist today. For a limited time only, we are offering our podcast listeners an exclusive 25% discount on Lucinda’s Fashion Styling and Image Making course. To receive 25% off, click the link here: http://bit.ly/2OXtL2j, and enter the promotion code PODCASTSTYLING at the checkout. Welcome to Episode 1 of Drive, BoF’s new podcast series featuring fashion’s most dynamic entrepreneurs discussing the special kind of resilience it takes to build a global fashion business, delivered by DHL. In episode 1, Imran Amed sits down with Farfetch founder, José Neves, who shares his inspiring entrepreneurial journey — through the ups and downs of building a team, raising funding and staying afloat — of creating a truly disruptive fashion phenomenon. Welcome to Drive: BoF’s New Podcast Series on Global Entrepreneurship. If you’re interested in building your own business, simply thinking about starting one or fascinated by fashion and entrepreneurship, BoF’s new podcast series Drive, delivered by DHL, gives you insider access to the entrepreneurs who have already done it, each in their own way. Too often, entrepreneurial success stories are reported as a stroke of genius, followed by overnight success. But this couldn’t be further from the truth. As you will see in these intimate and inspiring conversations, entrepreneurial success doesn’t happen in a straight line — nor does it come easy. There are ups and downs, and twists and turns, but with each unexpected challenge, there’s a new opportunity around the corner. In the first season of Drive we hear from fashion’s most dynamic entrepreneurs — in their own words — to discover what it really takes to build a global fashion business from scratch. First up is José Neves. On August 7th, we will hear his inspiring story, how a young Portuguese computer engineer who took his business, Farfetch, from a self-funded start-up in 2007 to a global fashion marketplace on track to a multi-billion dollar IPO. "From a personal level, I was absolutely hell bent [on] creating something in the intersection of technology and fashion, and that's when the idea of Farfetch came about,” explains Neves. This week on Inside Fashion, Kim Kardashian and Kris Jenner speak about working together as a family and turning influence into a multi-million dollar business. This week on Inside Fashion, Elizabeth Saltzman, Karla Welch and Jason Bolden discuss the future of the red carpet in a post-#MeToo era with The Hollywood Reporter’s Carol McColgin and media consultant Janice Min. Three of the most followed founders and entrepreneurs in fashion and beauty — Stitch Fix’s Katrina Lake, Everlane’s Michael Preysman and Beautycon’s Moj Mahdara — discuss their California-based businesses. The renowned retail industry futurist, advisor and author talks to Imran Amed about how brands can make sense of all the change that’s happening in the fast-evolving retail landscape. After a menswear season that reached its crescendo with the debuts of Virgil Abloh at Louis Vuitton and Kim Jones at Dior Homme, BoF editor-at-large Tim Blanks discusses his take on the shows and what they mean for the future of men’s fashion. In the latest episode of Inside Fashion, Jason and Colleen Wachob explore the cutting edge trends in health and wellbeing, the link with fashion, and share tips on bringing wellness into the workplace. In the latest episode of Inside Fashion, the co-directors of the new Alexander McQueen documentary discuss Lee’s inner circle, their approach to filmmaking, and tackling the controversies with BoF's editor-at-large Tim Blanks. LVMH's chief digital officer discusses the birth of the digital music business, LVMH's digital strategy and France's potential as a hotbed for entrepreneurial tech talent. Fitness guru and media entrepreneur Strauss Zelnick debunks aging myths on stage at #BoFVOICES. But standing up for social issues is also important as a leader, particularly since “governments have backed away from their responsibilities to their people and to humanity [and] that void needs to be filled by somebody,” is Bergh’s stance on immigration. Listen to Chip Bergh talk to Imran Amed about the Amazon threat and opportunity, what it takes to be a great chief executive in an environment of uncertainty, and what are the disciplines and skillsets that companies like Levi’s are looking for in the next generation of talent. Married entrepreneurs Neil Blumenthal of Warby Parker and Rachel Blumenthal of Rockets of Awesome talk leveraging data and building consumer relationships on stage at #BoFVOICES 2017. Having started his career aged 19 as an intern at Paper, Drew Elliott has established himself as an authority on creating content that connects with global audiences as co-owner and chief creative officer of Paper Communications. The magazine’s #BreakTheInternet Jean-Paul Goude cover of Kim Kardashian, which Elliott created and commissioned, drove 16 million people to the Paper website in just two days and made up 1 percent of all Google traffic in the United States. In his Digital Marketing course for BoF, he reveals the secret on how to make your video content go viral. In the latest episode of Inside Fashion, Drew Elliott talks to Imran Amed about his Digital Marketing course with BoF, including the key lessons learnt from the course and his secret formula of “magic and math,” discusses what people should know about the changes in marketing after the digital revolution, and gives advice to young creatives wanting to make it in the industry. IMG model Halima Aden and Carine Roitfeld, editor-in-chief of CR Fashion Book, discussed modest dressing as a cultural and political issue at #BoFVOICES 2017. In the latest episode of Inside Fashion, Sinéad Burke talks to Imran Amed about what she’s going to do with her newfound influence and gives advice to designers and chief executives on how to make fashion more inclusive. For a limited time only we are offering our podcast listeners an exclusive 25% discount on an annual BoF membership. To get 25% off your first year of an annual membership click the link here: http://bit.ly/2KoRRBH, select the annual packing and then enter the invitation code PODCAST2018 at checkout. "I've started two of my businesses just using social media," says Kim Kardashain West. "My career came about at a time when social media was just starting.… I took advantage of it and I figured out how to use it to my benefit." Listen to Kardashian West talk to Imran Amed about her rise to fame, her approach to business and what's next on the beauty entrepreneur's agenda. Teenage venture capitalist and entrepreneur Patrick Finnegan shares his secrets to running a successful startup on stage at #BoFVOICES. Biofabrication is set to shake up the $100-billion business of leather goods, explained Andras Forgacs of Modern Meadow on stage at #BoFVOICES 2017. Lululemon’s Dr Tom Waller explains why the way clothing feels matters as much as the way it looks on stage at #BoFVOICES. Speaking at #BoFVOICES, Joe Gebbia explained his duct tape philosophy on innovation and how the sharing economy can power philanthropy for the 21st century. In the latest episode of Inside Fashion, the entrepreneur talks to Imran Amed about his evolution at label Band of Outsiders, the reasoning behind building a direct-to-consumer business from scratch, and the importance of physical retail in a mobile-first world. Read BoF's exclusive interview and watch the video here. Fashion should design with, not just for, older consumers, argued Sarah Thomas onstage at #BoFVOICES 2017. The fashion industry often seems obsessed with youth. But what about those who are young at heart? For the first time ever, the world’s population is entering a period when there will be more adults over the age of 65 than children under the age of five. BoF hosted a panel discussion In partnership with Chopard on how the jewellery industry can engage with the UN’s 17 Sustainable Development Goals — with Cherie Blair, the UN’s Lena Wendelen and Phillipe Fornier, general secretary of the Swiss Better Gold Association. On the #BoFVOICES stage, chief executive Melanie Whelan told CNN’s Derek Blasberg that people are the key to maintaining the cult-like indoor cycling company’s special culture as it grows. This week on Inside Fashion, Gucci chief Marco Bizzarri discusses his career path to Gucci’s helm, how he jumpstarted the company’s stellar success, and his approach to building a fashion business in today’s fraught, hyper-connected world. On stage at #BoFVOICES 2017, Akin Akman, the former tennis player-turned-fitness influencer — whose wildly popular Soul Cycle classes sell out in minutes — says the key to getting to the next level is adaptability. The consumer is already powerful, and the beauty industry's mission is realising and unlocking that power, Glossier's Emily Weiss told Alexandra Shulman on stage at #BoFVOICES. “We have to reset,” Anna Dello Russo tells Imran Amed in this week’s Inside Fashion podcast. “My present now needs oxygen … I need time to reset.” As she takes a step back from street style stardom, the Vogue Japan editor-at-large talks to Imran Amed about her rise to fashion fame, Franca Sozzani and why now is the right time to reset. Is fur unethical and inhumane or sustainable and good for business? PJ Smith, senior manager of fashion policy at the Humane Society of the United States, took the stage at #BoFVOICES 2017 to explain how the fashion industry is undergoing a great transformation when it comes to the use of fur. This week on Inside Fashion, Imran Amed sits down with Bob Roth, one of the worlds leading meditation teachers, to discuss the phenomenon known as the “epidemic of stress” and the powerful wellbeing benefits of transcendental meditation. To watch Bob Roth's talk at VOICES 2016 click here. The model and founder of Kode With Klossy tells BoF’s Imran Amed at #BoFVOICES how she discovered programming and its powerful implications for young women. In the latest episode of "Inside Fashion," Imran Amed sits down with celebrity stylist and Vanity Fair contributing editor Elizabeth Saltzman, who works with high-profile names — including Gwyneth Paltrow, Saoirse Ronan and Uma Thurman — on their red carpet and editorial dressing. In this conversation, fresh off the heels of the BAFTAs in London, Saltzman shares highlights from her 30 years in the industry and discusses the impact of the #MeToo movement, which has transformed this year's awards season into a demonstration of unity in the face of the injustice, abuse and discrimination that has recently been uncovered in Hollywood, fashion and beyond. On this episode of “Inside Fashion”, Imran Amed sits down with David Carey, president of Hearst Magazines, one of the world’s largest publishers of monthly titles including Elle, Marie Claire, Harper’s Bazaar and almost 300 more. Speaking about the future of the print magazine industry in the digital media landscape, Carey explains Hearst’s unique acquisition and investment strategies, how magazine businesses can adapt to diminishing advertising revenue and how the industry has changed over the course of his career. Inspired by the rise of 'clicktivism,' the model launched Elbi, a charitable-giving app designed to democratise philanthropy. On stage at #BoFVOICES 2017, she questioned how technology can better serve local charities around the world. In a world where traditional retail is dying, stores must embrace communal experiences, explained retail futurist Doug Stephens on stage at #BoFVOICES. Marcia Kilgore, creator of Bliss, FitFlop, Soap & Glory and Beauty Pie, shares her fearless approach to business on stage at #BoFVOICES 2017. On this episode of "Inside Fashion", Imran Amed sits down with Musa Tariq to discuss changes in technology, his love of authenticity and the challenges facing fashion today. Tariq is one of a highly select group of individuals appointed to the C-Suite under the age of 35. Following early leadership roles at JWT and Saatchi & Saatchi Advertising, Tariq served as global head of digital marketing and the first-ever director of social media at Burberry. It was during Tariq’s tenure that the 150-year-old British brand established itself as a digital leader in the industry. Tariq left Burberry to join Nike as the first senior director of Social Media and Community, before going to work under Angela Ahrendts once again as Apple’s global marketing and communication director for retail. In 2017, he was appointed chief brand officer and vice president of Ford Motor Company. Plus for a limited time only, we are offering our podcast listeners an exclusive 25% discount on Musa's course, "Build Your Dream Career". To receive 25% off, click the link here: http://bit.ly/2x0aKG9, and enter the promotion code PODCASTMUSA at the checkout. Beautycon chief executive Moj Mahdara took to the #BoFVOICES 2017 stage to share results of her extensive survey of Pivotals, the super-generation age 13 to 34. Introducing BoF's new podcast series, 'Inside Fashion'. This series will feature original, weekly conversations with members of the BoF community, looking at the news and events from the week inside fashion. In this first episode, Imran Amed will be joined by none other than BoF's inimitable editor-at-large, Tim Blanks, to talk about what has been a very busy week in fashion news. Not only as Tim comes back from the men’s and couture shows, but there has also been a lot of breaking news this week, including the return of Hedi Slimane to Celine, the acquisition of YNAP by Richemont, and the controversy surrounded by the racist notes, and transphobic and homophobic videos that surfaced from Miroslava Duma. On stage at #BoFVOICES 2017 Dame Ellen MacArthur challenges the fashion industry, where less than 1 percent of garments are recycled, to work together to implement a circular economy. Belgian designer Dries Van Noten joined BoF editor-at-large Tim Blanks on the #BoFVOICES 2017 stage to discuss the challenges of being a 'citizen of the world' amid rising critique of cultural appropriation. The destructive monopolisation of the internet by Google, Facebook and Amazon is undermining cultural production, argued Jonathan Taplin on the #BoFVOICES 2017 stage in a debate with Rohan Silva, co-founder of Second Home. What is gender identity? What is gender expression? Dr Shazhan Amed, model Hanne Gaby Odelie, Teen Vogue’s Phillip Picardi and activist Laith Ashley shared their personal and professional experiences with gender on the #BoFVOICES 2017 stage. On the BoFVOICES 2017 stage, Colette's Sarah Andelman announced her next move following the closure of the beloved Parisian concept store: a new consulting company called Just An Idea. It’s Time for Adaptive Fashion. Disabled people have long been ignored by the fashion industry, but it’s high time for reform, argued Sinéad Burke on the #BoFVOICES 2017 stage. Dapper Dan and Leila Fataar joined BoF editor-at-large Tim Blanks on the #BoFVOICES 2017 stage to discuss the power dynamics of appropriation and the legendary designer's historic partnership with Gucci. Taking the stage at #BoFVOICES 2017, private investor-turned-philanthropist Amed Khan and film producer Chin-Chin Yap discussed the shocking scale of the refugee crisis. Bob Roth, executive director of the David Lynch Foundation speaks at #BoFVOICES 2017 explaining the importance of meditation. DeRay Mckesson, an American civil rights activist and a leading voice in the Black Lives Matter movement, and British television personality June Sarpong took to the #BoFVOICES 2016 stage to discuss the matter of racial injustice in the wider world. "It's not enough to just put more black models on magazine covers", says McKesson. "Diversity is also good for fashion firms' bottom lines", adds Sarpong. Will.i.am and LVMH chief digital officer Ian Rogers took the stage at #BoFVOICES 2016 to discuss how technology is transforming fashion and what the luxury business can learn from music’s digital disruption. Consider the mobile opportunity, but don't employ technology for technology's sake... A panel of retail space experts gathered on stage at #BoFVOICES in December 2016 to share their predictions on what stores of the future might look like. The New Role Model: Feeling Good is the New Looking Good - "My drug and alcohol use and abuse was not because of the fashion industry," said Amber Valletta, in a candid conversation last December at #BoFVOICES 2016 with BoF editor-at-large Tim Blanks. “Feeling good is the new looking good.” That was the mantra in the air at #BoFVOICES 2016, as entrepreneurs from the fields of health and wellness — including Jason Wachob, Amanda Chantal Bacon, Dr. Nigma Talib and Neil Grimmer. In the final instalment of The Business of Fashion's series, 'The Basics', Imran Amed explains how to build brand awareness in the early years of a business. Imran Amed sits down with Tommy Hilfiger to discuss how the American fashion designer built his global empire. In part three of four of The Business of Fashion's series, 'The Basics',, Imran Amed explains the different options available to emerging designers to finance their businesses. Editor-in-Chief of Vogue China, Angelica Cheung sits down with Imran Amed at #BoFVOICES 2016 to discuss how to reach the elusive Chinese millennial. In part two of four of The Business of Fashion's series, 'The Basics', Imran Amed explains, the importance of a business plan and how to approach writing one. At #BoFVOICES 2016 Tim Blanks chaired a discussion on diversity and inclusion between president of IMG Models Ivan Bart, mixed-race model Joan Smalls and transgender American actress and model Hari Nef. Gucci's CEO, Marco Bizzarri and FarFetch's CEO, Jose Neves sit down with Imran Amed at #BoFVOICES 2016 to discuss how to build a fashion business in a world of change. Taking the stage at #BoFVOICES 2016, LVMH chief digital officer Ian Rogers discusses how the internet has changed the dissemination of culture and what fashion can learn from music's digital disruption. Casting Director, James Scully, makes a brave, bold and emotional plea for reform within the modelling industry at The Business of Fashion's #BoFVOICES event held in December 2016. This podcast will explore conversations that happen on The Business of Fashion, and the explore the impact that has— This podcast will explore conversations that happen on the Business of Fashion and explore the impact that fashion has on the wider world. In these episodes, you’ll hear stories from some of the most important fashion designers, get an introduction on how to start a fashion business, and hear talks from our annual gathering VOICES. As well, we’ll have unscripted, in-depth conversations with some of my favourite people from fashion and beyond. You’ll hear real stories from these experts, who will educate you with their expertise, and inspire you with their personal stories and journeys. All you need to do to get started is subscribe today. We’d love for your feedback. We’d love your feedback, so please do let us know what you’d like to hear, and thank you for listening.